A busy crowd of polymorphic leaf cutter ants at a large nest entrance. Leafcutters are one of the most striking ants I’ve encountered, with their giant spiky bodies and stilt legs. 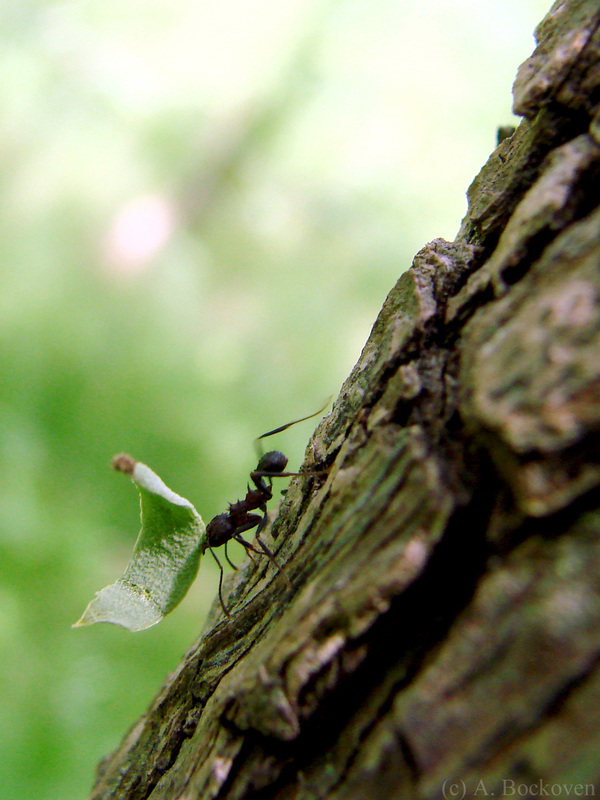 Unlike most other ants, leafcutters no longer retain the ability to sting or spray venom. These ants are specialized for doing what their name implies–cutting leaves–and this can be seen clearly in the powerfully-jawed major workers. In fact, the jaws latch on so strongly, staying clenched even after death, that beheaded workers are sometimes used to close wounds. While in Argentina, my labmate Paul tried this out on a papercut. Cure possibly less pleasant than the ailment. 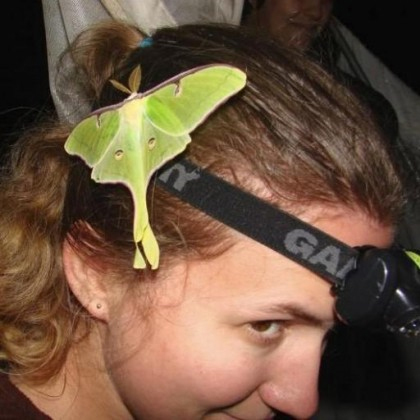 Very effective, though. In my occasional encounters with leafcutters of the genus Atta, I was particularly impressed by the truly gigantic, sweeping nests a single colony can make. Although not particularly tall, these mounds can cover a lot of ground, littered with cast off plant material and abuzz with busily working ants. Apparently the 10-15 foot mounds I’ve seen don’t even come brush the upper limits: Wikipedia says the central mound can grow to more than 100 feet across. 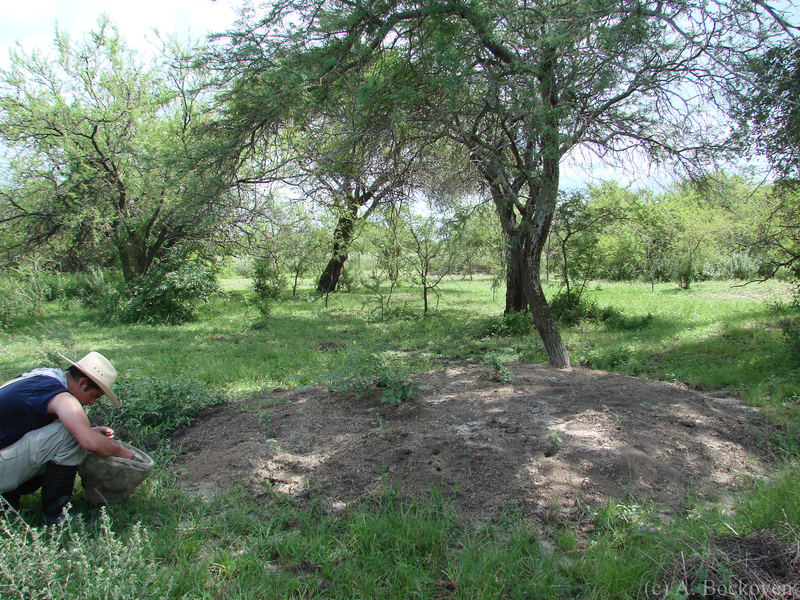 Paul Lenhart observing a large mound of Atta leaf cutter ants in Argentina. I’ve hardly ever encountered leafcutters in my area of Texas, but there is one large colony of Texas leafcutter ants (Atta texana) deep inside our local Lick Creek Park if you know where to look. 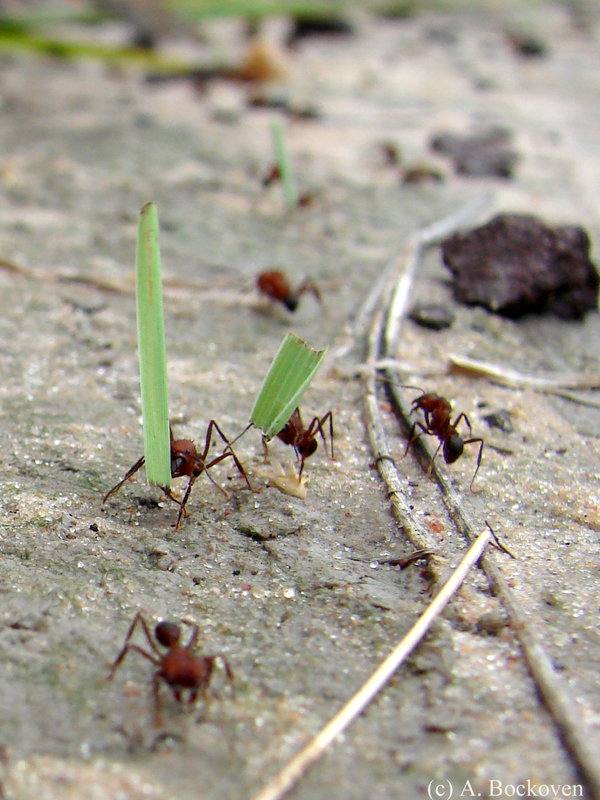 A trail of leafcutter ants carrying plant clippings. These are leafcutters of the genus Acromyrmex, like the individual foraging on a tree in the previous post. 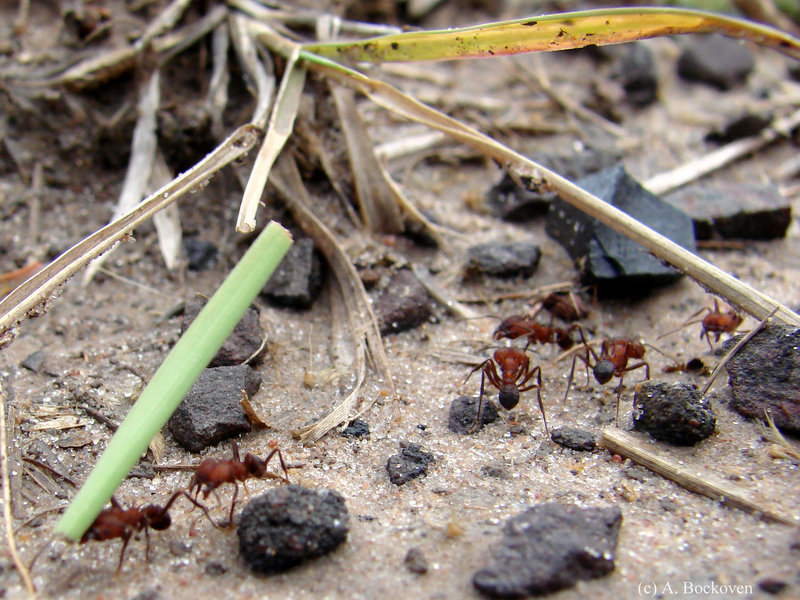 Workers of these ants clear obstacles and debris from their foraging trails, making visible highways through grass and undergrowth. They also seem to prefer open areas such as man-made trails to march along whenever possible. Sometimes we would share a path with these ants down the length of an entire pasture, only to part ways with no end of the ant line in sight. A leafcutter ant (genus Acromyrmex) carries her harvest down a tree trunk. Leafcutters in my local area are fairly restricted–we have an active colony of Texas Leafcutters (Atta texana) in the nearby Lick Creek Park, but for the most part they seem to have been driven out by invasive fire ants. I was completely charmed by all the leafcutters we saw everywhere in Argentina. 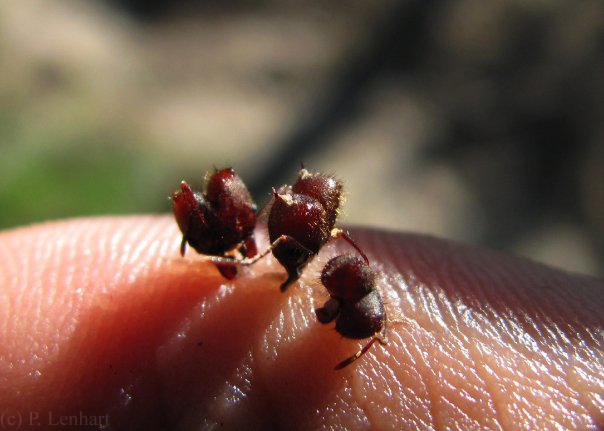 The trails of these spiky leaf-bearing ants are easy to spot–resembling tiny parades complete with banners and floats. 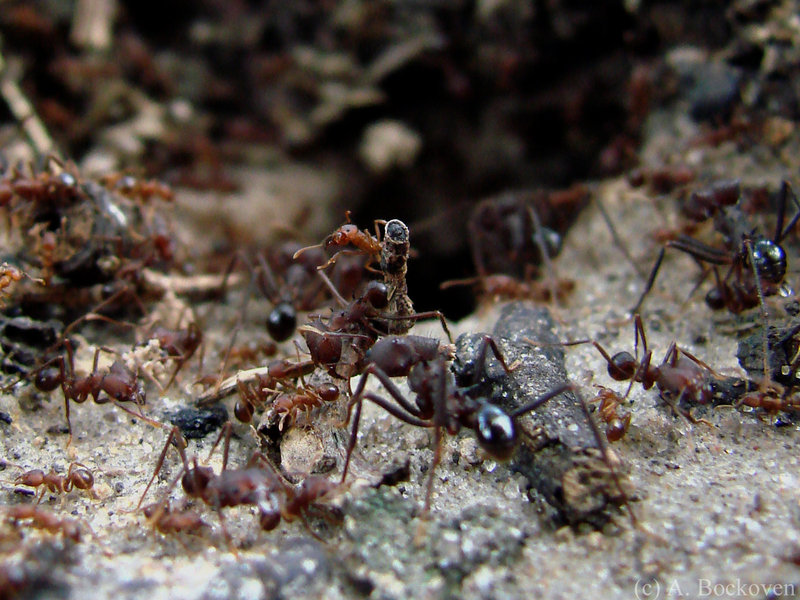 The busy little ants moved about their work so fast it was hard to get a good photo of them, but managed a few. Leaf-cutting ants are found in both the genus Atta and the genus Acromyrmex. These ants slice off pieces of plant material and carry them back to the nest. There they are chewed into mulch which the ants use to grow a fungus which they feed on. Leafcutters have been farming their fungal crops so long the fungal species raised by Atta and Acromyrmex nests are unique to that environment and never found outside the ant colony.